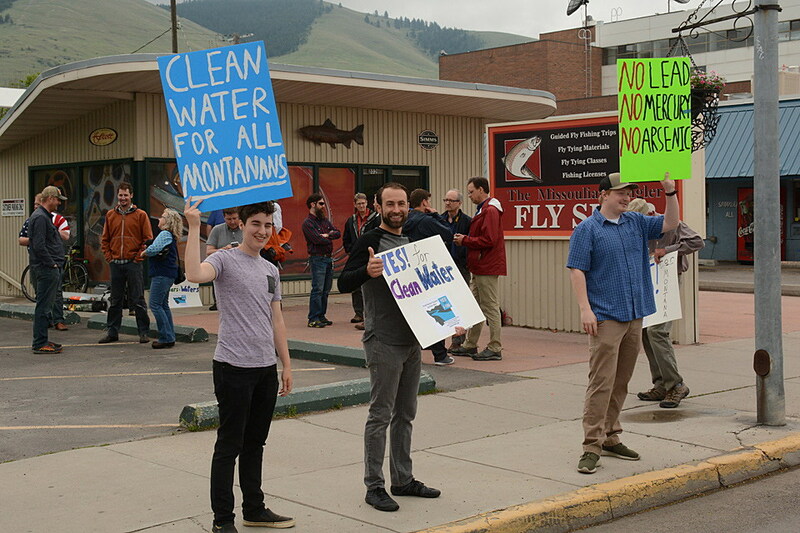 This November, Montanans will decide whether mining companies need to meet a higher bar when it comes to protecting the state’s water. Last week, Montana Secretary of State Cory Stapleton approved I-186, the Yes for Responsible Mining initiative, for the ballot after supporters gathered more than 45,000 signatures statewide in six weeks. The state requires a minimum of 25,000 signatures, with a small percentage coming from each county. The initiative would require new hard rock mines to show proof in their reclamation plans that any related water pollution won’t require perpetual treatment after the mine closes. 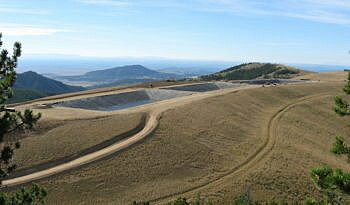 In the past, a number of companies have left or declared bankruptcy before mines were reclaimed, and Montana is on the hook for the water pollution at several defunct mines, including Zortman-Landusky near Fort Belknap, Beal Mountain near Anaconda and the Mike Horse mine near Lincoln. As a result, I-186 has support from diverse groups of Montanans, including sportsmen and women, the fishing industry, investment firms, municipalities and real estate companies. “Time and again, mining companies have promised we can have both – mining and clean water. But their track record proves otherwise,” said Montana Trout Unlimited director David Brooks in a release announcing the initiative’s approval. The mining industry has pushed back against I-186, partly because the original language would have affected existing mines. I-186 supporters later rewrote the initiative, but it still contains the words “clear and convincing evidence,” which troubles mining proponents. Department of Environmental Quality director Tom Livers and the attorney of Legislative Services had a hearing on I-186 in late May, and both confirmed that the clear and convincing evidence standards are well known, though Livers said the attainable piece is not. “Our analysis is already being done at this level, but it remains an untested standard so it may impact the amount of documentation we have to do to convey that level of analysis,” Livers stated. Still, in May a political committee called Stop I-186 to Protect Miners and Jobs filed with the state, and Dave Galt – who previously served as Montana Petroleum Association executive director for 10 years – took the helm. Also in May, the Montana Mining Association sued the state attorney general and secretary of state to stop the initiative, claiming I-186 was “legally insufficient.” In June, the Montana Supreme Court denied the charge, ruling that the state doesn’t have the authority to decide legal sufficiency; only courts do. The mining industry has the support of several Republican state legislators, including Senate majority leader Fred Thomas, R-Stevensville; House majority leader Ron Ehli, R-Hamilton; Senate Finance and Claims chairman Llew Jones, R-Conrad; and House Appropriations chair Nancy Ballance, R-Hamilton. Last week, the four wrote an op-ed in several Montana newspapers saying they supported the effort two weeks ago to call a special session of the Legislature to draft a referendum to oppose the initiative. Some Republicans also wanted a referendum to oppose I-185, which would increase the tobacco tax to pay for Medicaid and which also qualified for the ballot. The special session would have cost the state at least $200,000 but failed to pass by a vote of 71 to 45. Thirty-four lawmakers didn’t vote. Calling Montana Trout Unlimited and other environmental groups “radical environmentalists backed by out-of-state billionaires,” the Republican op-ed said I-186 would drive mining companies out of the state. Under the new language, existing mines would not be affected. However, new mines might be – if they can’t ensure clean water, including the proposed Black Butte copper mine on a tributary of the Smith River and gold mines proposed near the Paradise Valley and Yellowstone National Park. Some mining proponents also charge that it would affect the Montanore and Rock Creek mines in the Cabinet Mountains, although I-186 supporters say those mines are far enough into the permitting process that they wouldn’t be affected. Montanans have strongly supported past initiatives to preserve state land and water from mining pollution. After the Zortman-Landusky mine polluted Zortman’s municipal water source with 50,000 gallons of cyanide, voters approved Initiative 137, a ban on cyanide heap-leach mining, in 1998. Voters reasserted their position in 2004 when they voted down Initiative 147, which would have repealed the ban.